Easily replace the diffuser in your 2' x 2' troffer light with this decorative light cover. The Skylens® Fluorescent Light Diffuser features a vibrant sea turtle image that is printed directly on the diffuser for optimum clarity and quality. Simply remove the existing diffuser from your panel light, and mount the decorative Skylens® in its place. The flexible PMMA acrylic diffuser measures 1.98' x 1.98' and can be trimmed to fit your troffer light. Custom-Printed Fluorescent Light Diffusers let you create a space that suits your own style and needs. Upload your own image! Whether it's a photo of the trees outside your house or a company logo for your office building, it can be made into a high-quality decorative light cover for your 2' x 2' or 2' x 4' troffer. For optimum quality and clarity, the image of your choice is printed directly onto the flexible diffuser. 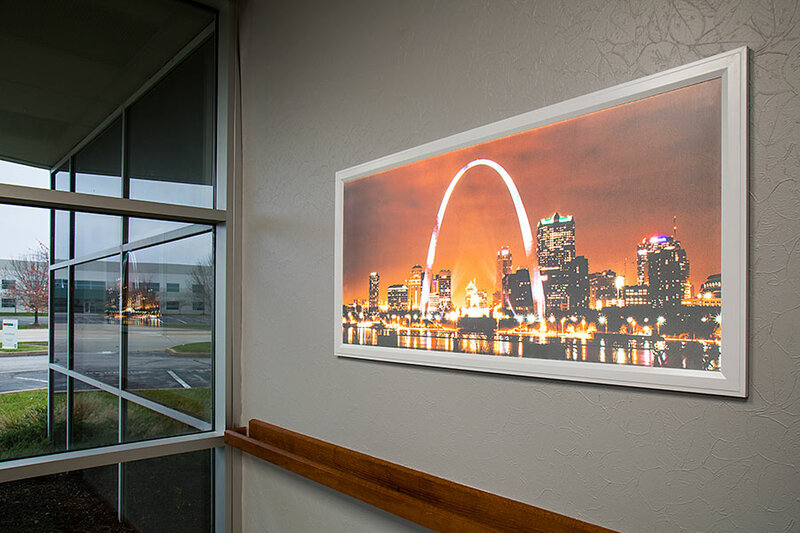 Take your lighting to the next level with energy-efficient LED Light Box Panels. These long-lasting LED light fixtures are available in a variety of sizes, including 2' x 2' and 2' x 4' to replace standard fluorescent fixtures. Using Even-Glow® technology, the light box panels emit smooth, flawless illumination, and unlike fluorescent troffer lights, they show no visible bulbs or hot spots. Upload or email your own photo to be printed directly onto the panel's diffuser.